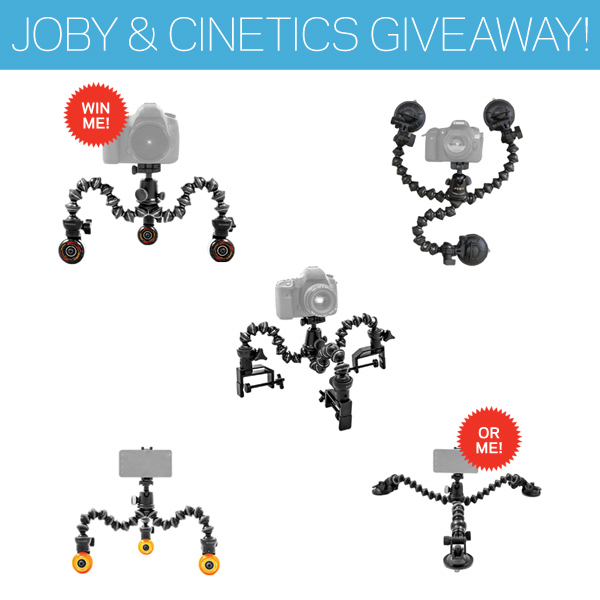 JOBY & Cinetics Gear Giveaway! To celebrate the new Cinetics additions to JOBY.com, we’re having a GIVEAWAY! Enter to win 1 of 5 awesome prizes featuring both JOBY and Cinetics gear. Check out all the details and enter on the contest page!